Winnifred Sullivan begins her post with Bruno Latour’s delicious metaphor from his volume, The Making of Law: that trying to understand life through law is akin to trying to fax a pizza. She moves from that insight to an important set of reflections on how the world of religion fares in an atmosphere of juridification, setting American constitutional law in a critical frame in a way that few of her colleagues are able to do. I want to take another of Latour’s books as the starting point for reflecting on the problem presented by the facts of the Town of Greece v. Galloway case, namely the problem of legislative prayer. Rejoicing: Or the Turmoil of Religious Speech is a challenging volume, as bold (and it is very bold) as it is curious. In it, Latour asks about the specific character of religious speech, its conditions of success (its “felicity conditions”), and the burdens of speaking religiously in a world that is thought to be modern. Although its stated subject is religious speech, central to the text is a critique of the way in which religious people and institutions have failed in discharging these burdens, with the effect of abandoning the import of religious speech. A central theme in the volume suggests a way of understanding the legal discomfort with prayer in an unconventional but provocative light. In a leitmotif in the book, Latour argues that religious speech is closer in character to the amorous speech between lovers than it is to scientific and political speech acts. Religious speech is not—Latour is insistent on this point—about communicating information; it is not properly concerned with belief in or about something. Religious speech is not, for Latour, about drawing people outward or upward to a more real or differently real world but, rather, about drawing people down, inwards, closer into a certain kind of relationship that changes their way of being. Religious speech is about its transformative effectiveness, not its referential substance. I do not expect that all will accept Latour’s claims about the nature of religious speech. But I suspect that he is more right than wrong and it certainly seems to me that he captures something real about the contemporary predicament of religious speech in suggesting that it fares poorly when it mimics the forms of political and scientific speech. Yet this is precisely what one sees in the forms of debate that surround the legal treatment of prayer, prayer being an exemplar of religious speech. The law reads religious speech together with other forms of political and public speech; it interprets it as being centrally about belief, communicating a set of propositions whose truth value is questionable but not justiciable—law is simply not permitted to judge the veracity of religious beliefs. It must be said that many religious speakers seem to do the same, offering religious speech in the same register as political and scientific speech. On Latour’s terms, both moves are tragic. 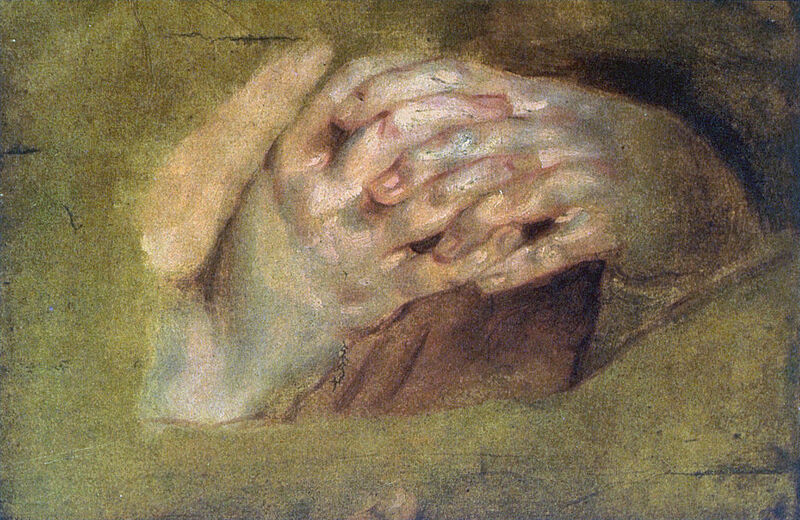 If prayer is, in its character, more about a hoped-for transformation in relationships than it is about the expression of beliefs or fidelity to form—if it is more like amorous speech, that is—the problem is not that public prayer is inconsistent with the constitutional rule of law but, rather, that prayer is essentially unintelligible to law. Indeed, what value it retains depends on this non-digestibility, its ability to induce hesitation, awkwardness. Prayer, so understood, is not a category of speech that finds a place within the evaluative categories of law, any more than we would expect law to have anything to say about the expression of love. We are, here, close to an insight that Paul Kahn has explored: that there is something profitable about setting the rule of law alongside the nature and demands of love. Prayer may not belong in legislative and juridical fora, but for a far deeper reason than abstract constitutional separationism. The more powerful objection to such public prayer is that, owing to the particularity intrinsic to this mode of expression—the need for it to speak in a language that is direct and properly resonant for the listener—its appearance will tend to exclude. In a legal forum, religious speech as understood by Latour struggles to have the specificity it requires to do its work. And if that is so, this insight points as much to the limits of law’s ability to speak to the full range of the meaningful contours of personal and collective life. If, through excessive privileging of law and legal speech, we efface the affective and relational dimensions of our social worlds, we should heed Sullivan’s caution about abetting the march of juridification and invite modesty about the reliance on legal tools. This, I think, is what is going on when one encounters the distinctive phenomenon of Aboriginal prayer in Canadian public life. No doubt, it is the unresolved question of sovereignty in Indigenous-Settler relations in Canada that facilitates this exception to the general rule against prayer in public institutions. Perhaps the radical unfamiliarity of the form and aesthetics of such prayer induces hesitation and stays the normal logic of secular public life. Whatever the reason for its appearance and acceptance, Aboriginal prayer offers itself as a display of the possibilities of religious speech, as outlined by Latour: as I read these occasions, they are not directed at the expression of belief or aimed at communicating information about something distant or transcendent. This speech is about inducing a state of mind amongst those for whom the idiom is familiar, an awareness of a set of immanent relationships, of turning inwards and downwards: they are well-fitted to Latour’s sense of religious speech. Their presence is an invitation to modesty as one turns to the logic and language of law. Their value and challenge to the community comes from their legal unintelligibility.